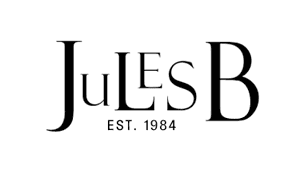 Jules B Ltd ("Jules B", "we", "our", "us") respect the privacy rights of its online visitors/customers ("you", "your", "yours") and recognise the importance of protecting the information collected about them. We will only use the information that we collect about you lawfully (in accordance with the Data Protection Act 1998). Should you choose to have your name and personal data removed from our database all together, you can do so by clicking the unsubscribe link on the email or sending an email to shop@julesb.co.uk or by writing to us at: Jules B, Head Office, Yellow Brick House, Back New Bridge Street, Newcastle upon Tyne, NE1 2TY. Julesb.co.uk requests personal information from you when you place an order. If an order is placed with us, we will request personal information including your name, email address, phone numbers, home address, shipping and credit card billing address(es) so that we can process, fraud check and deliver your order. Details of your address and also the telephone number and email you have provided us will be shared with our courier partner DPD, these details have been shared to assist in providing you with 1st class delivery service and will not be used by this third party for any other reasons. Your telephone number may be given to our courier partner for delivery services. These details allow us to process your order and to let you know the status of your order. You will not be contacted by telephone for any other reason than your order status and unless you have otherwise specifically requested. Further details are available for your information in our returns policy. Please go to the Contact Us section of the web site and send an email to shop@julesb.co.uk. If you wish to talk to a Jules customer services representative please call 44 (0) 191 211 2330 or 0845 835 2900. By visiting julesb.co.uk, you are accepting and consenting to the practices described in this Privacy.